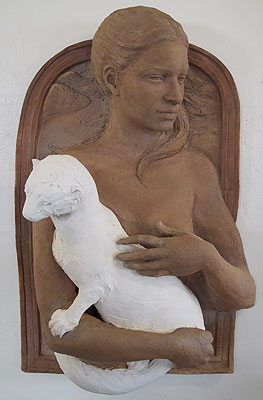 Lisa Reinertson Girl with Ermine, 2010 ceramic, 36" x 24" x 10"
Lisa Reinertson Dad's Fiddle , 2013 ceramic, 23" x 26"
Lisa Reinertson Mother with Child, 2008 ceramic, 28" x 24" x 6"
Lisa Reinertson Picasso, 2008 ceramic, 29" x 24" x 27"
Lisa Reinertson Wolf Rider, 2009 ceramic, 65" x 25" x 8"
Lisa Reinertson Madonna and Dog, 1989 Ceramic, 32"x8"x36"
Lisa Reinertson Woodpecker, 2014 Ceramic, 26" x 13" x 6"
Lisa Reinertson had been creating monumental sculptures cast in bronze at Artworks Foundry since her first major commission: “Martin Luther King, Jr.” in Kalamazoo, MI in 1989. 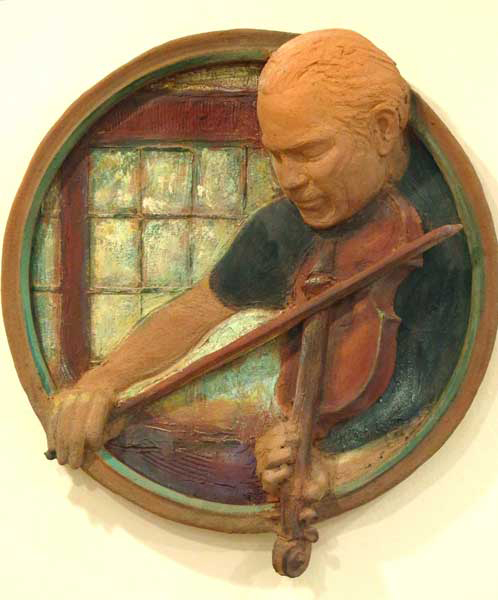 Reinertson earned her Masters of Fine Arts degree at the University of California at Davis where she studied with Robert Arneson, and Manuel Neri. 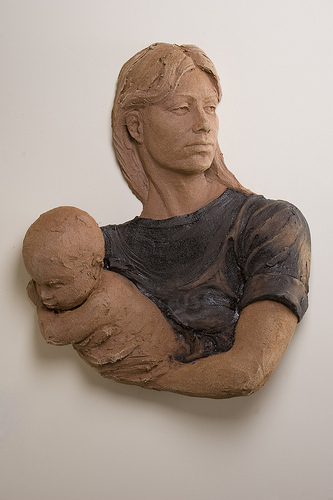 While she was directly and personally influenced by both of them, she has also been strongly influenced by the figurative traditions in painting and sculpture. 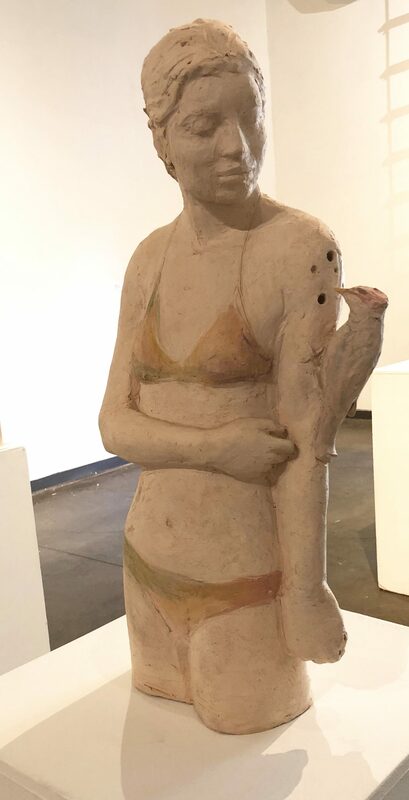 Her work combines a realism rooted in the humanist figurative tradition in art with a contemporary expression of social and psychological content. 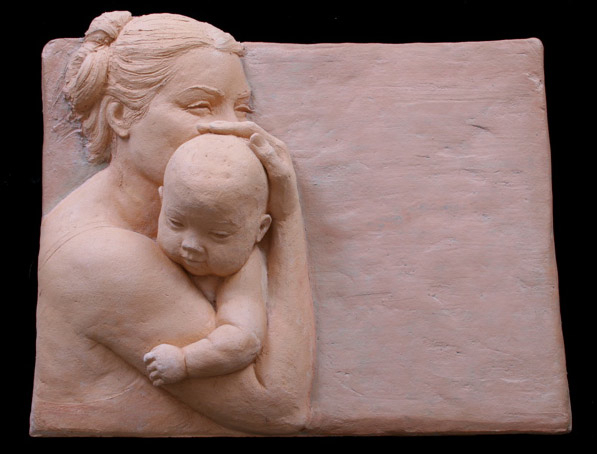 Currently, Reinertson resides in Davis, California, and is working on a “Mother and Child Sculpture Garden” for the City of Palm Desert. 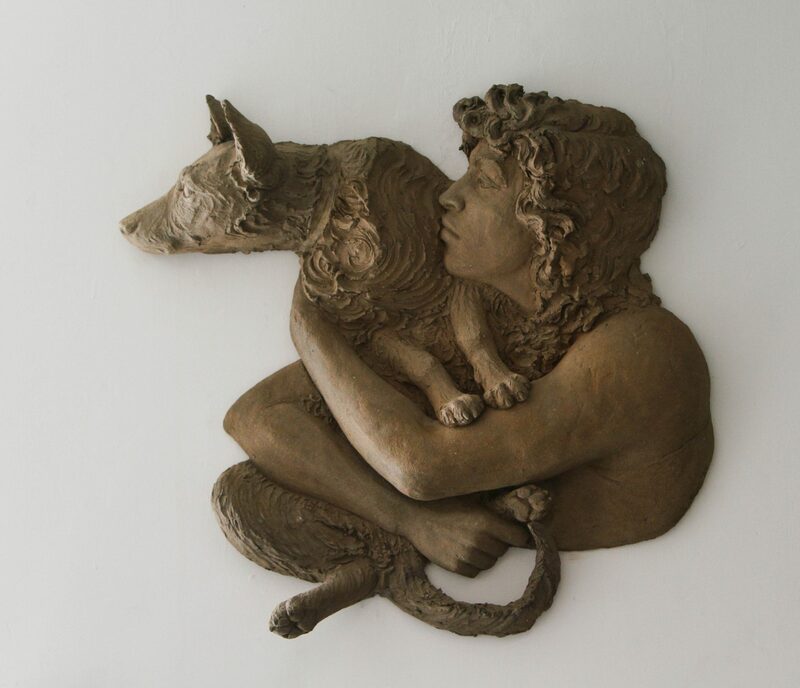 This project will include bronze central figures, desert animal sculptures cast in terrazzo, a pebble mosaic, and site-specific landscape design. 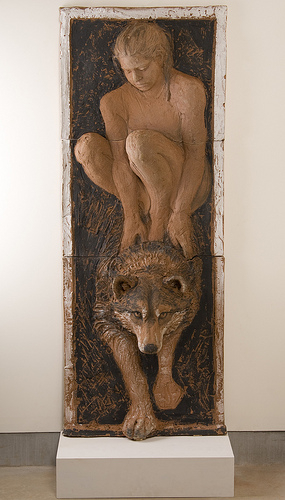 Her work is also in the exhibitions and museums nationally and internationally, and several public and private collections such as the Mint Museum, The Crocker Art Museum, and the ASU Art Museum.